Spray Marks is a privately owned company operating since 1989. 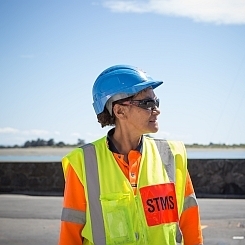 Starting out in the roadmarking industry, Spray Marks has marked nearly every road in the South Island at least once and installed thousands of edge marker posts and reflective cats eyes. In the early 1990’s we began sign manufacturing followed by providing traffic management services in Christchurch. Since the beginning, we have developed and maintained a strong reputation for quality service. In 2006 the group acquired another roadmarking company (Roadmarkers Otago) and vertically extended into its supply chain by acquiring the engineering firm that built and continually optimised its road marking fleet (Advanced Maintenance Ltd, now trading as Spray Marks Engineering). 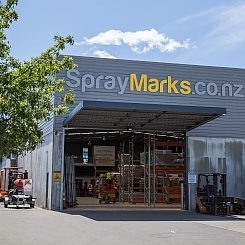 Having completed several international contracts in the Pacific, the Spray Marks Group now operates its portfolio in diverse locations, markets and industries. Our varied experience gives us an excellent ability to adapt to projects a bit different and outside the norm. If you have any project, contact us and one of our team will get back to you. 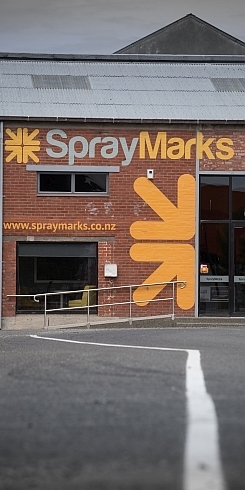 Spraymarks employs around 160 people in the Canterbury region from on road to the boardroom. All great people who are not afraid of hard work. We promise to give you the best work we can. Leave it to us, we’ll make it happen. Spray Marks Group supports many initiatives within the community by supporting its staff, community groups and charities. From sponsoring classrooms, donating services to community and sporting events through to supporting national charities, Spray Marks takes its responsibility to operate in a sustainable manner.